White Ivory presents a boutique Bed and Breakfast. We combined traditional Thai arts with contemporary touch resulting in sophisticated Colonial and Modern decoration. 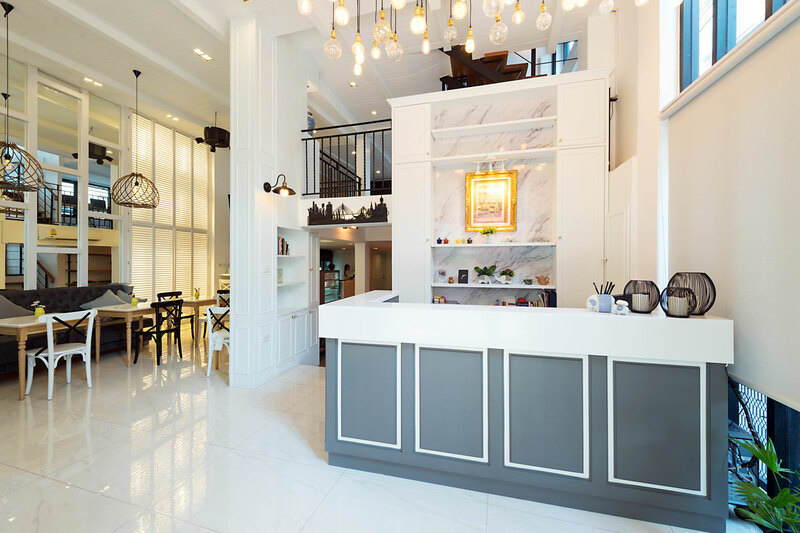 White Ivory was built to serve as a residence which has now been reconstructed to serve as a small size hotel facility reflecting our admiration of the fascinating Colonial plus Modern design. 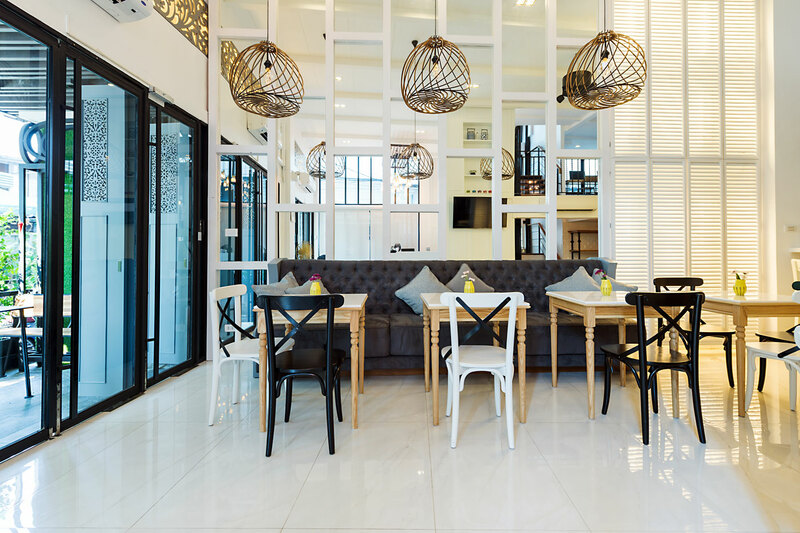 White Ivory consists of total 5 floors, providing 12 room units; interior designed using Modern Thai style lavish with traditional Thai ceiling and a balcony in each unit. We have decided to maintain and encourage the use of stairways, instead of implementing an elevator system to keep the former building construction, but more importantly to save our world’s energy. Besides, we provide a complementary Bellboy service for our guests. Hence, you need not to worry about your heavy luggage. A boutique Bed and Breakfast. We combined traditional Thai arts with contemporary touch resulting in sophisticated Colonial and Modern decoration. 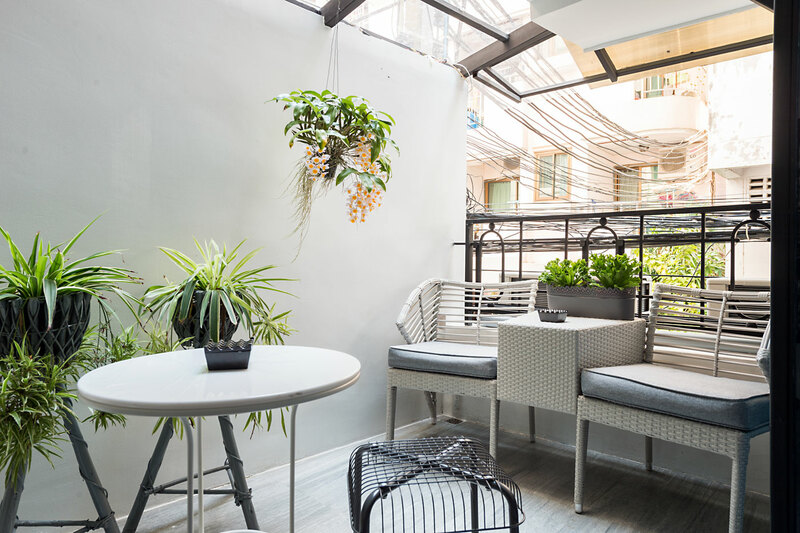 At White Ivory, we have selected from many great theme designs in the city of Bangkok to render our units’ interior with an intention to showcase lifestyle of Thai people. Moreover, we utilise Chaopraya river; city’s main water transportation, to bring our guests out to many attractions this modern and old culture-vibrant city has to offer. 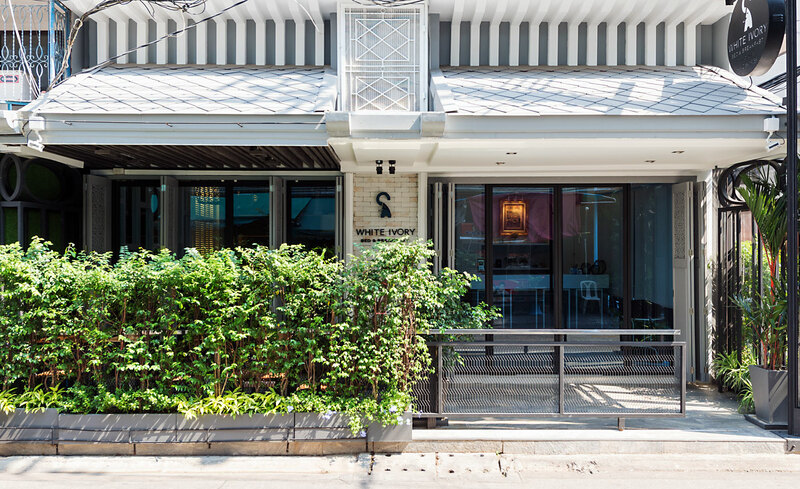 White Ivory Boutique Bed and Breakfast is located in the vibrant and friendly neighborhood of Bangkok city. 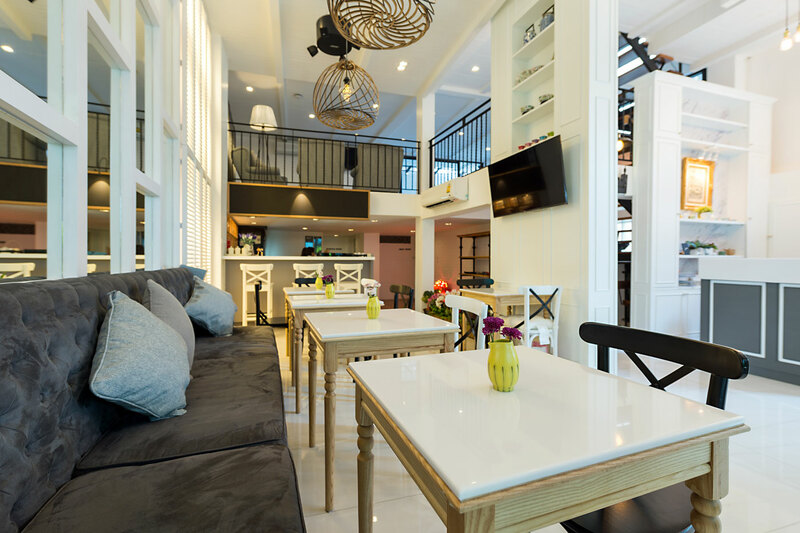 Hotel facility features a small café providing food and beverage service to guests. We arrange shuttle car service from our hotel to Sathorn pier. 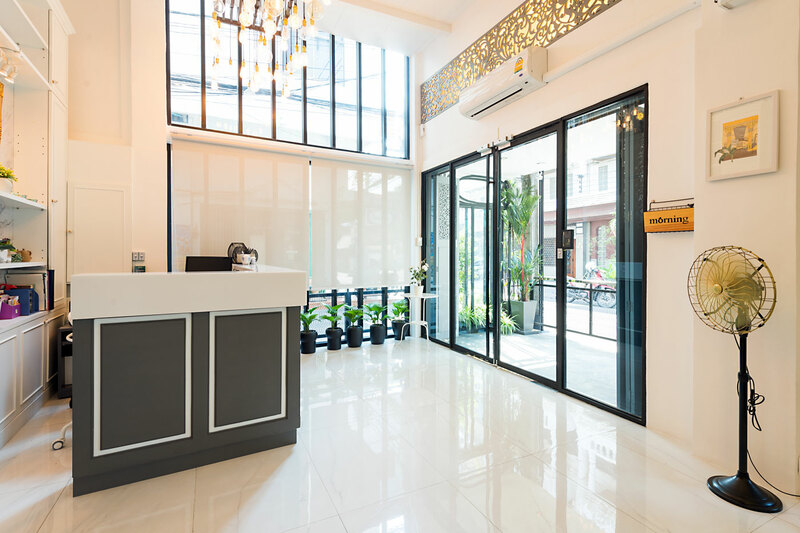 With our friendly staff and service-oriented attitude, checking-in to stay with us at White Ivory will make you feel at home. Getting into the city center is easily accessible, only 20 minutes away by BTS train. 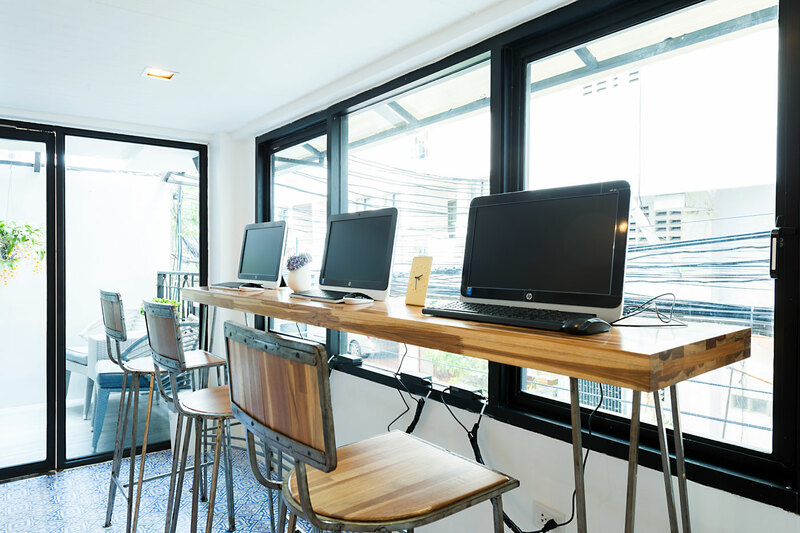 Our hotel provides Internet access any location in the building including guest rooms and common area. All guest rooms feature a personal balcony, a private shower room, an LCD TV, a hair-drier, a safe, air-conditioning, personal closet, clothe hangers, and a refrigerator for your convenience. We also provide access to computers in our business area available for 24 hours. Designated area for smoking. Laundry Service. Our staffs are highly knowledgeable of famous tourist attractions, restaurants, and ready to advise a shopping area that best suits your purposes. We are glad to assist you in arranging of tours or a personal guide, so you can just sit back and relax! 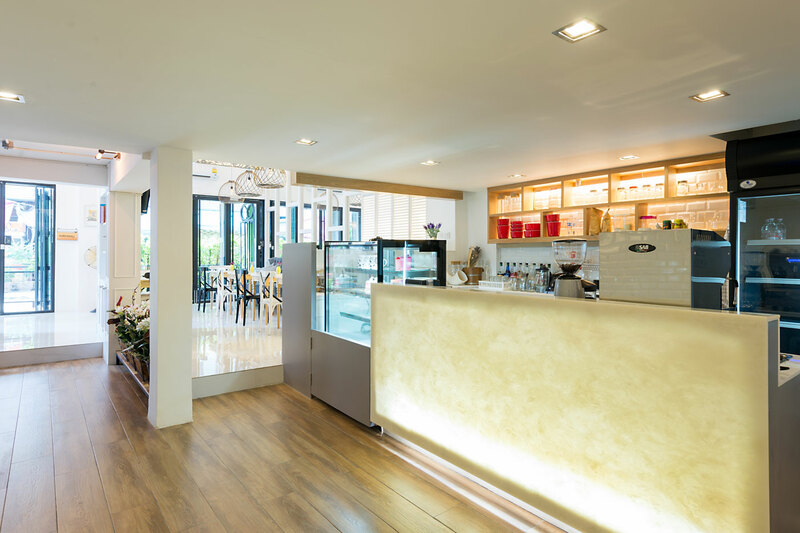 Our little White Ivory café provides a selection of traditional Thai breakfast and international breakfasts.